We focus on single family homes with design to match your lifestyle and budget. Creating a new home or remodeling an existing home is one of the most personal experiences that you can go through which means it is critical to hire the right team of experienced professionals. What sets us apart is, that while we emphasize thoughtful design, we never lose sight of your functional needs and budget. With our partner company, O'Connor Brehm Design-Build we have been building our projects for over 15 years. Using this holistic approach we endeavor to make your design and construction process as rewarding and stress-free as possible. Our many years of designing and building homes has allowed us to refine our process to help you execute the home that you envision. In the end, you will be living with the results so your happiness and satisfaction are the measurement of our success. At our initial contact, typically over the phone, we will inquire about your project and you can share your goals, dreams and budget. We provide honest feedback regarding what you should expect regarding design, budget and schedule. In follow-up, we typically meet with you at your home, prospective property or at our office. This allows us get to know each other and to discuss the project in more detail. The design and construction process can be challenging and it is important for you to be comfortable with our ability to listen and respond to your needs. In follow-up to this meeting we will prepare a proposal that outlines the project scope, services and fees. 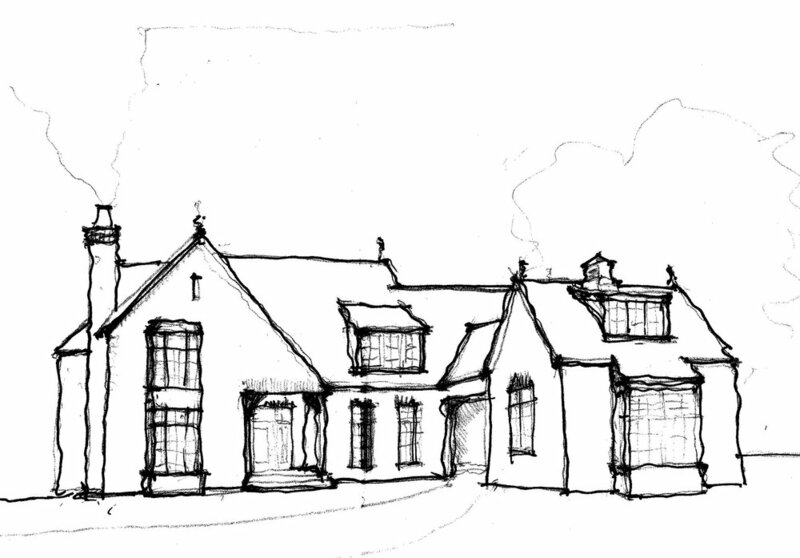 One of our unique advantages is that, in addition to the traditional design-bid-build model, we offer an architect led design-build option in tandem with our partner company, O'Connor Brehm Design Build. When you opt for design-build there is a single source of responsibility for the design and construction of your home. This simplifies and streamlines the process, allows design design to be more closely informed by budget and greatly minimizes errors and miscommunication. Our architects, designers and construction team are located in the same office which makes daily communication effortless and efficient. The project runs smoothly with design, budget and schedule in sync with your goals and expectations. Once we have an idea of you and your style preferences, we will begin to craft a unique design for your home and will meet with you to present our ideas. The best design will be a result of our collaboration with you and therefore we will ask for your feedback and discuss alternative ideas. The design will then be refined and will evolve into a solution that meets your final approval. 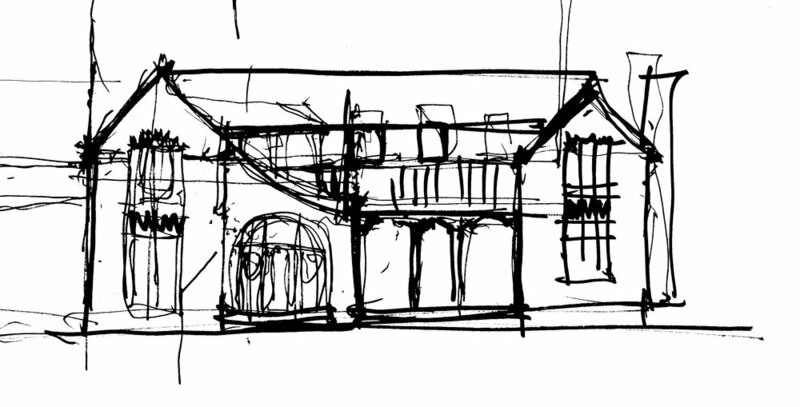 When we settle on an approved design we will prepare a "thumbnail budget estimate." This estimate provides an expected range of construction costs. It is not a detailed bid but offers a close approximation of what your project will likely cost and allows you the chance to adjust the scope or budget before proceeding with more detailed drawings. In addition to considering the look and character of your home’s exterior we also carefully consider the interior architecture. Understanding the interior space is integral to the design and feel of your house. We offer in-house interior design services that help in the selection of interior finishes, products and colors. For cabinet design you can work directly with our partner company, Vine Street Design which is also located nearby in Park Ridge. 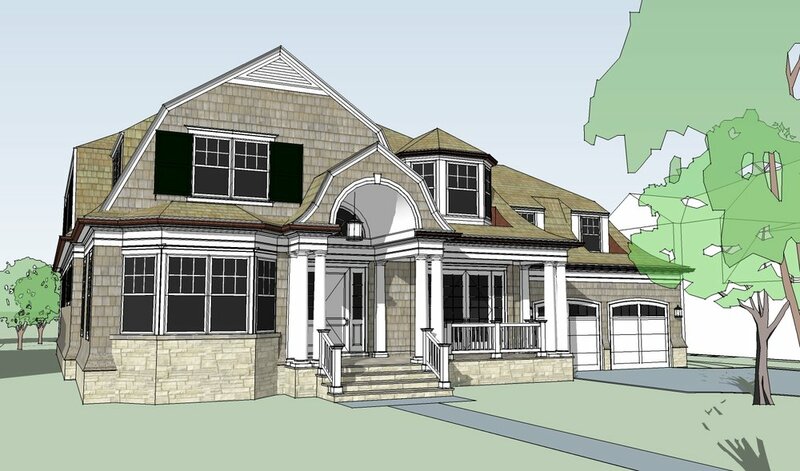 When the design and estimated costs are in line with your expectations, we will continue to refine the design and develop a full set of detailed construction drawings. 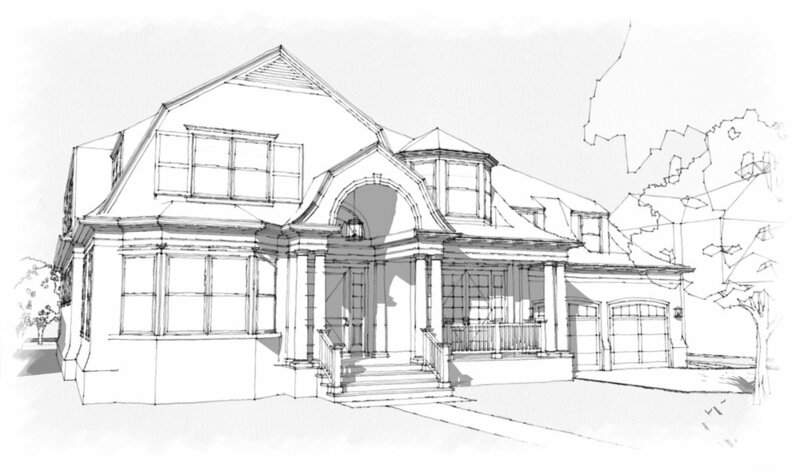 Our drawings include every detail so that bids are accurate and so that the construction process goes smoothly. Our level of detail ensures that change orders are minimized, the home is built correctly and most importantly that you get the home you envision. We stay involved throughout the construction of your home to ensure that your home is built according the design. The construction of a home is a complex process involving the coordination of many craftsmen and suppliers. We help facilitate the construction with thoughtful responses and clarifications to field questions from the construction team. With our trained eye we observe the progress to make sure everything is built according to the design and the final product is well constructed and looks good.